This vanity has both an all-around look and a modern style. The white acrylic counter and white fiberboard base make a beautiful look in your bathroom. Redo the style of your bathroom with this classic from Fresca. Enjoy the popular traditional look in your bathroom with this beautiful vanity. With a white marble counter and grey solid wood base, this product is good-looking and useful. Put a classic feel in your bathroom with this good-looking set from Avanity. Milano 31-inch W 2-Drawer Freestanding Vanity in White With Acrylic Top in White With Faucet This vanity has both an all-around look and a modern style. The white acrylic counter and white fiberboard base make a beautiful look in your bathroom. Redo the style of your bathroom with this classic from Fresca. 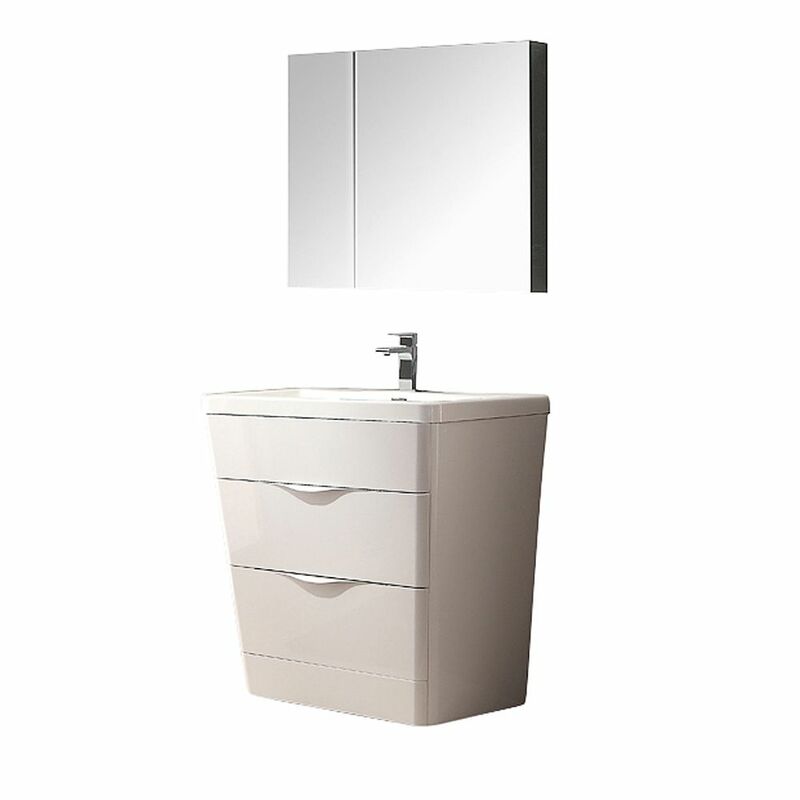 Milano 31-inch W 2-Drawer Freestanding Vanity in White With Acrylic Top in White With Faucet is rated 5.0 out of 5 by 1. Rated 5 out of 5 by ARK HI from Fresca - Milano 31" Vanity Excellent quality... good features... a very nice change from your typical square vanity... softly angled sides and beautiful rounded corners... would definitely recommend.